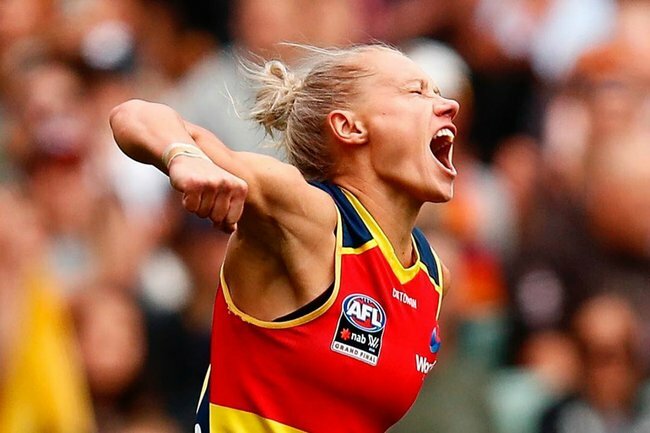 AFLW Grand Final 2019: The incredible photos from Adelaide Oval. On Sunday, thousands of people marched across the footbridge into Adelaide Oval to watch the 2019 AFLW Grand Final. Thousands more watched the AFLW Adelaide Crows defeat Melbourne-based team Carlton 63-18 from their living rooms, which in itself, shows just how far we’ve come. March 31, 2019, marks the end of the AFLW’s third season. When the AFL first introduced its first women’s football league, not everyone was keen to get behind it. Who would bother going to watch women play AFL? Wouldn’t it be slower and more boring than watching the men? How could a women’s AFL league be profitable? While we still have a long way to go before we reach equality in Australian sport – AFLW games are currently free to attend and most of the female athletes hold down day jobs to support themselves financially – photos from Sunday’s grand final on Twitter show there are plenty of Aussies out there who are more than happy to get behind women’s sport. 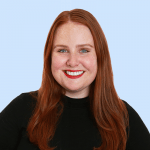 According to Channel 7 reporter Elspeth Hussey, the AFL was expecting a crowd of 25,000, but in the second quarter it was reported there were upwards of 45,000 packed inside the stadium. As the final siren sounded, the scoreboard confirmed 53,000 supporters were in attendance. The images on social media of people streaming into the stadium to watch some of our country’s finest athletes, including the inimitable Tayla Harris who just last week was subjected to sexism and online trolling for an image of her doing her job, are incredible. Who said women’s footy wouldn’t work?! And to think a mere three short years ago, *some* people thought no one would turn up to watch women kick around a footy. Were you at the AFLW Grand Final? Tell us why you love women’s footy in the comments below.